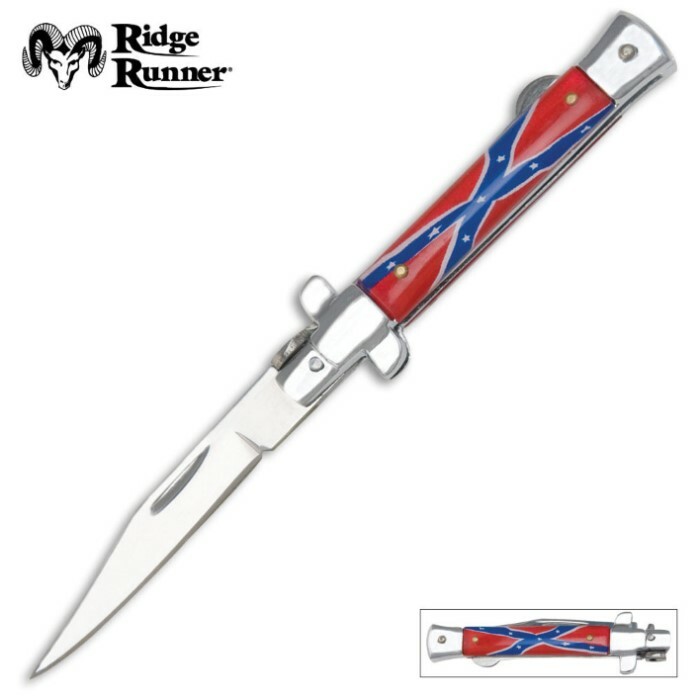 Ridge Runner Stiletto Rebel Flag Folding Knife | BUDK.com - Knives & Swords At The Lowest Prices! 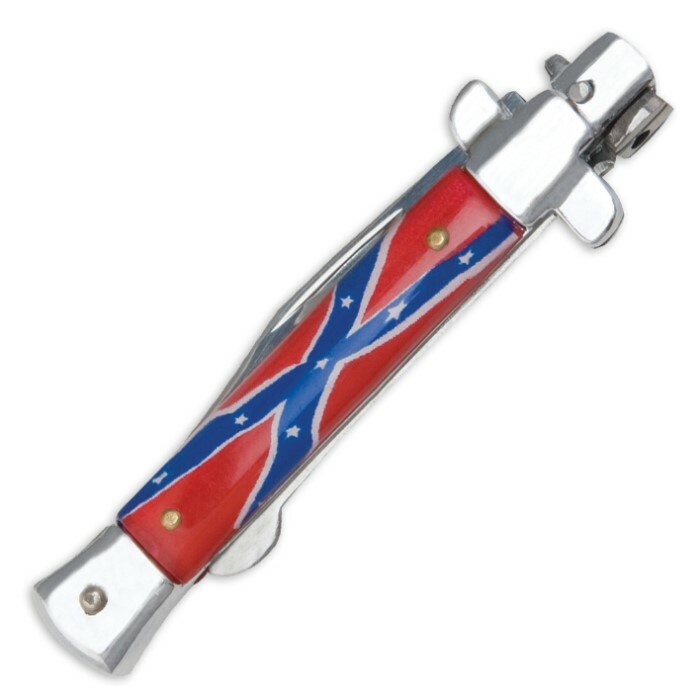 Don't hide your Rebel pride - show it off with this Rebel flag stiletto! This stiletto features a 3" stainless steel blade with a razor sharp point. Its ABS handle features a full-color inlay of the Rebel flag. This stiletto also features stainless steel bolsters and guard. It is 3 3/4" closed and 6 3/4" overall. Great product for price. Bought this knife again. Really good!! Got it for my dad's bday. He likes it. The handle was chipped a little. The knife itself is fine. Nice stiletto look, decent quality blade. The flag should have 13 stars. I like it it's the coolest knife I ever had. But it was dull ! This is a good product. The first one I ordered, the blade was shaking from the handle as revet was not fixed properly. Emailed budk about it and they sent a replacement. Great customer service and good product. Budk's product is always good for the price and customer service is great!